Here we go. The house I started while ago is finished. I'm not so thrilled since it looks a bit out of proportion. The roof is heavy but it still stands up. I kept decorating pretty simple. I usually don't make the house like straight rectangle but I haven't thought about it while making the crochet strips. Let's call it trial version :) Not sure if there ever will any other version. I started it as part of Monday Makers which I thought would be nice addition to linky parties. Wouldn't that be nice, start something small every Monday and show off the finish the next one? It would if only I could keep up, lol. I got the idea of next project from Lucy. It is hardly dangerous to click on links provided on blog posts you read. CLICK HERE to find out what I'm making, LOL. 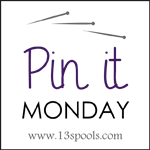 While ago when I started blogging and reading blogs I wanted to be one of those cool chicks included in blog hop stops. Inspire and encourage others, wouldn't that be great? Guess what. I'm being one of them due to lucky coincidence! Hop over to Sew Sweetness to read all about my project Paint Drips for A Quilter's Mixology SAL. Thank you Sara for having me! I was hoping to share finished project I started while ago as part of new linky Monday Makers but I can only show you some progress. I'm undecided what flowers I will add. So if I'm not sewing what am I doing? I'm waiting for the right mood. Seriously, I need to be in mood to do some FMQ and I have at least two projects to quilt. In the meantime I'm dreaming about some redo since I received Ikea #bookbook. Have you seen the advert? Fun! My husband (and camera) went to Japan and just because he is so nice he brought me some souvenir. Echino? Yes please! We were also enjoying some bits of autumn sun. Plus we visited castle called Bouzov. Autumn also means conkers horse chestnuts. We have been picking up those all week long. But do not worry; things are getting back to normal so I'll share some real sewing next time around. My girl turned 8 and I baked not only one cake but two since I screwed #1. Don't rush yourself that's the lesson I learned! How big is actually the quilt I made for her? I don't really know since I forgot to measure it but here is us doing some fun posing on trampoline. Please learn some more about Janeen that I tagged during the Blog Around the World hop. I'm kind of behind with my bloglovin feed but I will catch up eventually. I'm not being active lately since .... life happens. Do not worry though; it is only my frustration over job hunting. There are ups and down and I'm happy to have a family I can count on. And we jump and jump until we drop dead. I would also like to tell you about Craft Book Month @ Craft Buds. It'll be my third time participating. The idea is to use those craft books you already have and show others what you have created. My quilt is modified version of Neighborhood by Elizabeth Hartman. The book is called Modern Patchwork and I first came across this book during Craft book month two years ago. I started this quilt last year as Bday gift for my girl. I made 7 houses out of Summersville charm pack and this year I added one more since my girl will be 8 years old. You can see that my quilt holder came back when the field was all ploughed under. You can also spot I have added chimneys and 3D pinwheels. The quilt is mostly hand quilted as the batting is really thick and it was PITA to quilt it. Backing is polar fleece so it is just snuggly and warm. I usually name quilts after songs so I go with Don't you worry child for this one. 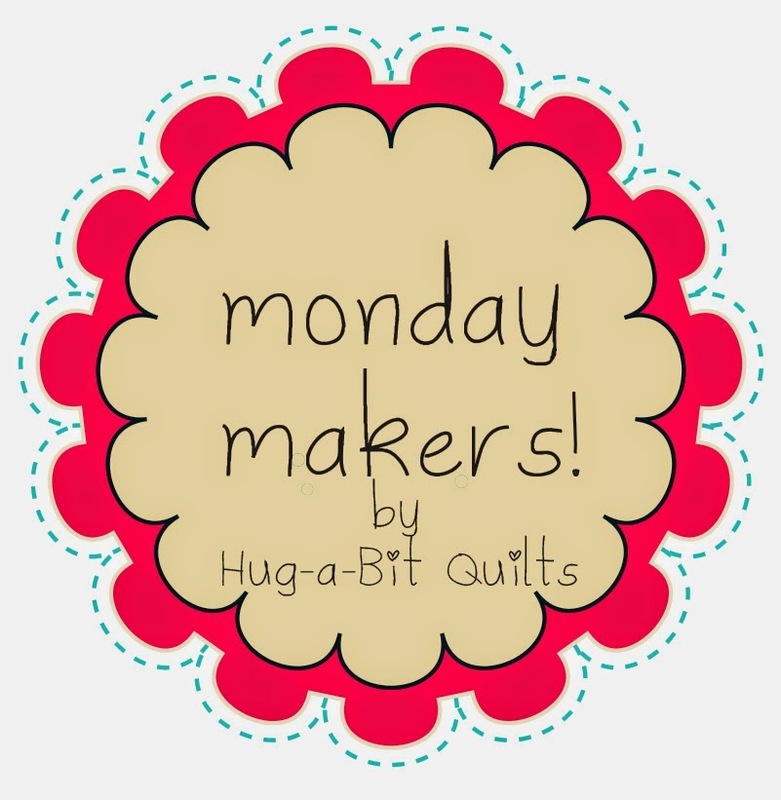 Last week I mentioned new linky Monday Makers @ Hug a Bit Quilts. You can learn more about Nurdan in her post since it is her turn of the Around the World blog hop. My project for this week is going to be house zippered pouch with crochet roof. I have the supplies ready so we'll see next Monday. Are you starting something new? Let's join in! Guess what. 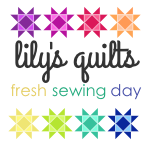 There is another Monday Makers linky @ ayliN-Nilya. She is also having her Blog around the world post up. Check out Nilya's creations as she makes some beautiful stuff. I have also tagged Janeen @ Quilt Art Designs. She'll be posting next week but you can check out and download free paper pieced pattern as part of her BOM called In the Garden. I made some zippered pouches. Click on the pictures to see the details. And I finally finished Ballerina quilt which was in progress for a very long time. This one yet to be fully revealed.